I made this scarf for my husband's new dress coat. Try it out with your own yarn combinations! 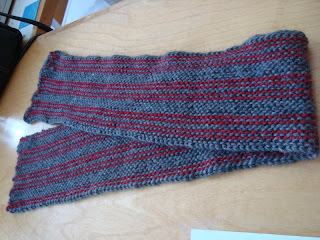 Finished Size is 43 inches long and 5 1/2 inches wide. 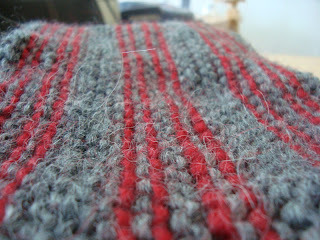 I used 1.25 skeins of grey Nashua Creative Focus Chunky and 1/2 a skein of red Nashua Creative Focus Chunky. 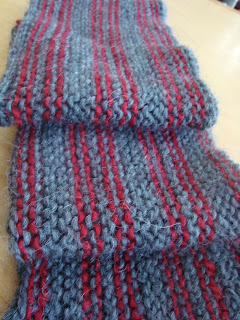 Directions: Cast on 150 stitches using the main color. 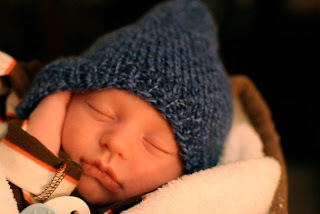 Tip: If you use the crochet cast on, it will match your bind off side - thanks Sarah! ....and some - not so much! 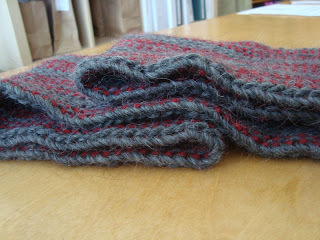 Elizabeth Zimmerman's Very Warm Hat pattern that can be found in several of her books. Is it possible to be more adorable?! ?